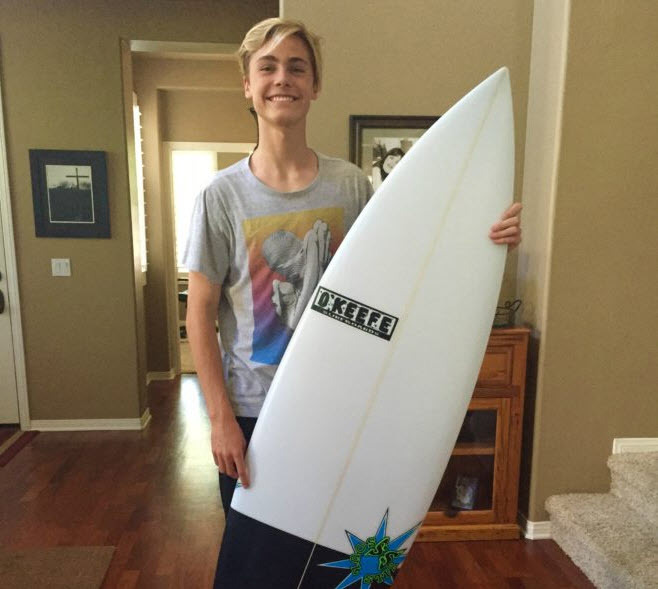 Karson Mclachlan is your average 16-year-old. He is a sociable guy who loves nothing more than spending time with friends, paddling out to catch some waves, and hitting the dunes with his dad for a weekend of dirt biking. One fateful weekend out in the desert, everything changed for Karson. This happy-go-lucky kid found himself in agonizing pain, hoping for relief and listening for the sound of an approaching helicopter. Their Saturday had started out like any other weekend out on the bikes. Karson and his dad were cruising around the open and sandy terrain of Superstition Mountain in Imperial County, California. This area is a hotspot for Southern California off-roading enthusiasts because it presents challenging riding opportunities and diverse terrain. 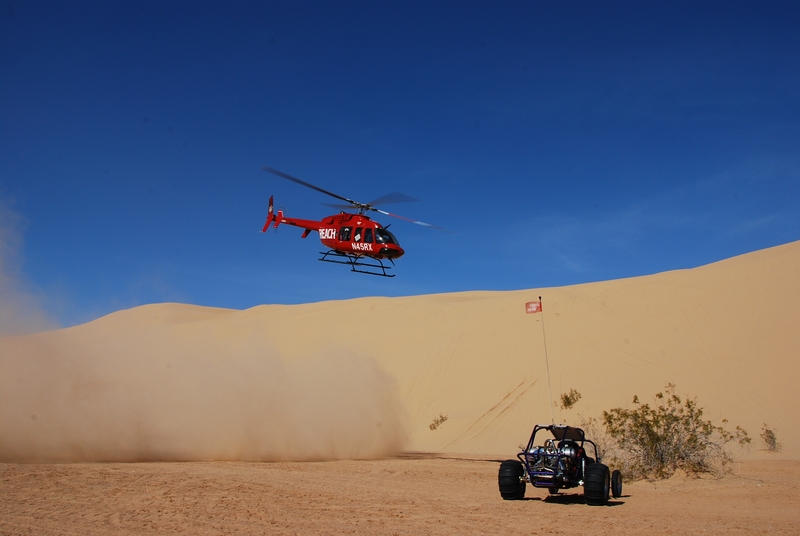 As Karson crested the top of a rather steep dune, he was met by an oncoming dune buggy that had failed to install an antenna whip. Unaware of the approaching vehicle, and with little time to react, Karson was hit head-on. The collision left him in bad shape. His bike was entangled in the undercarriage of the vehicle, and the impact of the collision had thrown him 15-feet away. The entire right side of his body had been crushed and many of his bones were shattered. Luckily for Karson, the local paramedics were there within minutes. However, after assessing his condition, they knew that transporting Karson to the hospital by ground was far too risky. His femur was completely shattered and there were serious concerns about how close the breaks were to his femoral artery. That’s when they made the decision to call REACH. A REACH helicopter lifts off after picking up a patient. REACH 9 responded from their base in El Centro, sending Pilot Randy Ogata, Flight Nurse David Frampton, and Flight Paramedic Ryan Morgan to the scene. While scene calls are a common occurrence for this crew, they do require a heightened level of awareness. Pilot Ogata soon delivered the crew to the scene where local paramedics updated them on the situation. After assessing Karson’s condition, the crew loaded him into the aircraft and departed for UC San Diego Hillcrest, a Level I trauma center. During the flight, they cared for Karson’s injuries and helped him with pain management – something he was incredibly grateful for. Karson is excited to get back out in the water. Upon landing, Flight Paramedic Morgan contacted Karson’s parents to update them on their son’s condition. In total, Karson spent nine days in the ICU and underwent several surgeries to help reconstruct his broken bones. Karson’s mother, Amie, recounted that after receiving a heavy dose of anesthesia in preparation for his surgery, Karson requested that the ‘overlord’ of the hospital come to speak with him because he wanted to share how fantastic the REACH crew was and how much they cared for him during his flight. While we are pleased to hear that Karson is singing our praises to anyone who will listen, we are even happier to hear that he is home from the hospital and on his way to making a full recovery.